Depending on the niche, blog photography can make or break a blog. In today's visual world readers want to see bright, themed images that not lot only look aesthetically pleasing but compliment written content. 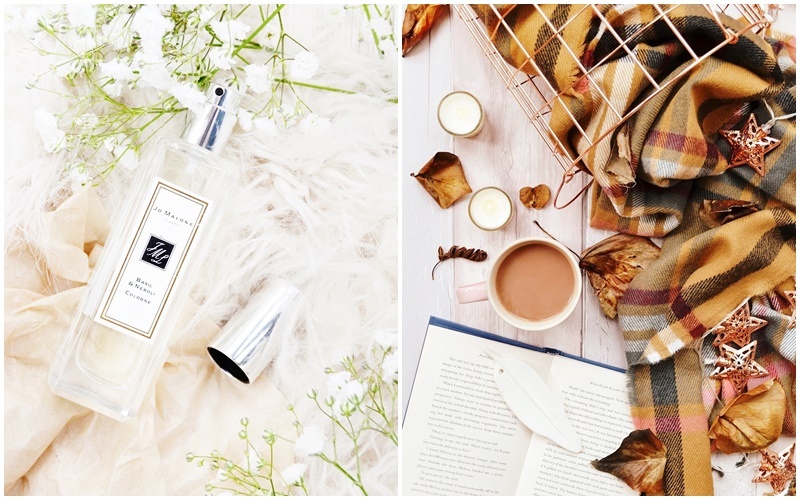 For this reason, flat lays are now the most common style of blog photography! They're not only pleasing to the eye when done right but even with a range of inexpensive props you really can create a setup that wows in minutes. However, there is a definite knack to creating natural yet engaging flay lays that can ultimately make someone want to click through from a social platform to your blog! Which is why it's important to get the basics right! 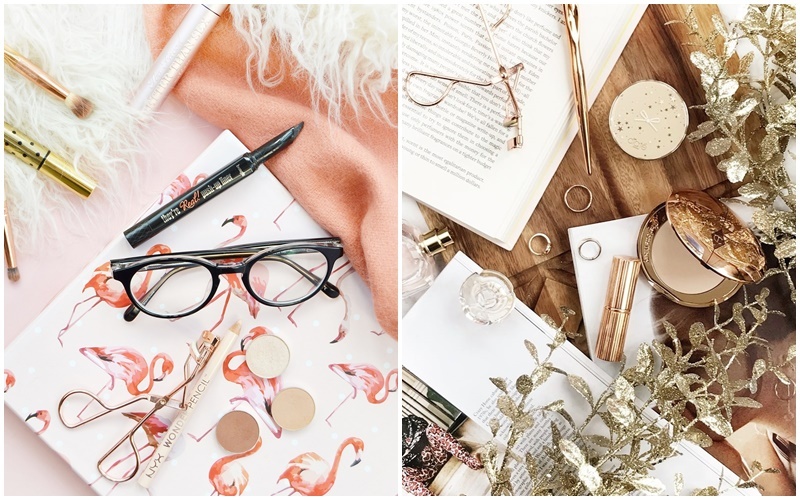 Below will you find a step-by-step style guide to creating the ultimate flat lay, from how to setup your shot to what factors decide your colour scheme and the props you will use. I hope if you're looking to improve your blog photography this post will come in useful! Before setting up your shot it's important to work out the if the main product you will be featuring benefits from being in a flat lay composition. Generally, most items do, however ornaments and anything with height (example: a pancake stack) may be trickier to capture or lose impact from a birds eye view, in which case it would make sense to shoot a more traditional composition. Clothing is another category that may be tricky to photograph as the shape and cut of an item of clothing won't come across so they may benefit from being hung up and photographed on a rail instead. Once you have your focal product you then want to place down your DIY background if you are using one and set your camera up on a tripod. You can hold your camera however often in low lighting (i.e winter and most of the time in the UK!) you don't get the sharpness you desire and without realising it you may also hold your camera at a slight angle and not directly above which can cause the perspective of your images to be slightly off. My own tripod is a budget one from eBay (this is the one I bought over a year ago now that really has served me well) that allows the camera to be held pointing down and features a handy spirit level so I can see the angle I'm shooting at is correct. You can also buy an attachment for your tripod so that it can also hold your phone which is pretty handy! Although shooting on a totally blank background can definitely work, a sense of realness and something that's tangible can be better achieved by simply adding different larger props to your background. Think a section of a jumper, a textured blanket, a serving tray, even a bunch of flowers. These should all be fairly neutral; black, white and pastel shades, and positioned around the outer edges of the frame and not totally within it. Next, place down your focal product or products if you are shooting a range of items. If you are working with multiple products look at the tones of each product and balance them out within your frame. For example, if a few products contain more black tones try to balance them out by placing them not next to each other but scatters around near products. The same with block colour items, if they are all of the same shade that is fine but if not, aim to distribute evenly to give balance to your final image. You will also want to point items in different directions and at different angles to give a less staged feel. If you are only using one or two focal items consider separating them if possible to take up more visual space, fill gaps and appear more natural. For example, taking the caps off products and placing them near but not next to the item can give more importance and tangibility. Here you can also add your first prop as an almost sidekick to your focal item. For example, if you are shooting a food flat lay this may be a fork and a sprinkleof crumbles or if it's a lifestyle/desk image add in your phone next to or near your hero product. Basically, if you can think of a smaller item that would make a good supporting prop give it a go and see how it looks! Props that work well include rings, glasses/sunglasses, notebooks and magazines, dried rose petals and stationery. These are all non-imposing props that will fill gaps and make your flat lay shine! Your last step is to assess if any products/props are looking too placed/staged. If they are, simply angle them so they aren't pointing straight on. This is the time to also stick down products that keep rolling around with small pieces of white tack. 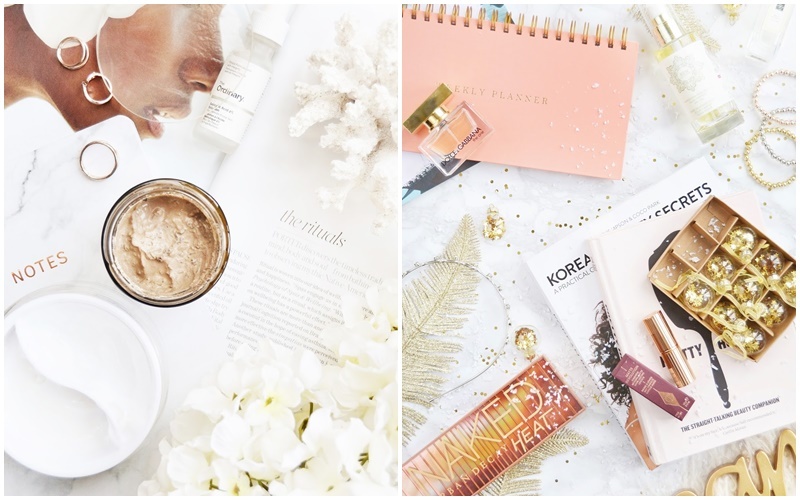 To see what your completed flat lay looks like take a few test shots, remember that if you shoot up high, even standing on a stool if you need to, you have more room in post editing to crop. So try not to get too close to your subject. As for lighting, natural lighting is free and gives the best results! If harsh shadows are a problem use a white foam board (you can find these in Hobbycraft) or a silver reflector (I own this inexpensive 5-in-1 reflector here) to reflect light back onto your scene and tone down shadows. In blog photography posts I often see the advice of deciding on a colour scheme and using colour theory. However, I much prefer my focal products to determine the colour scheme of my flat lay. For example, if I were shooting a bold red handbag I would add in a few smaller red items, possibly a vivid red lipstick and red leather cardholder. Then I would match the hardware of the bag with a few more props. So if the bag had gold hardware I would place a few gold rings in the shot.and not mix metals here. Then as black and white props are pretty neutral I would lay larger props of that tone to add layers and texture under and around my focal point. If I had decided If I had decided on a for a pastel pink theme before even placing the red handbag down it simply wouldn't have looked right and the colours probably would have clashed. 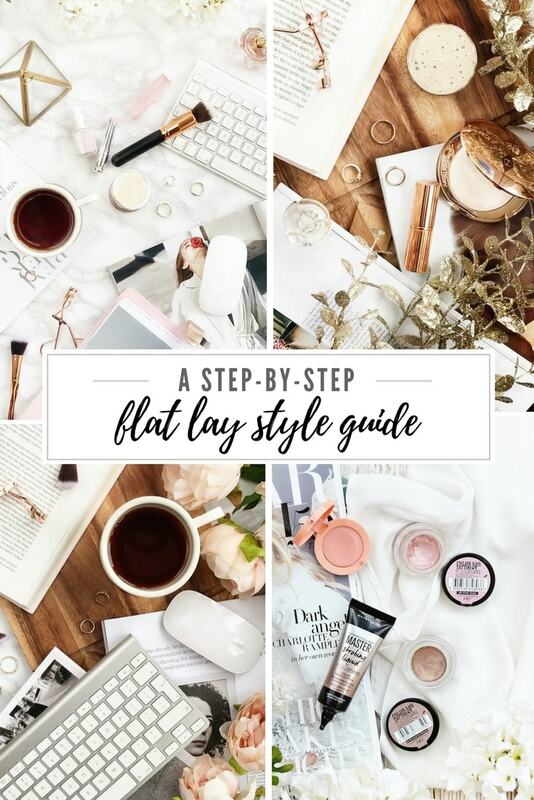 I really hope this step-by-step flat lay guide has helped! As there are a few things that can go wrong when creating a flat lay, from lighting problems to perspective issues I will write a follow-up troubleshoot type post very soon. If you have any question let me know in the comments and I will answer them in my next blog photography post!